Ah Fong is my junior in school and a colleague when we are working in Likas Square back then. Time past by so fast, as I still remembered those days, both of us are still single. 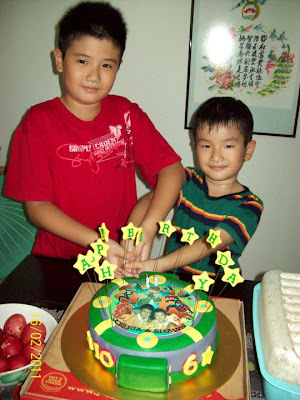 Now, Ah Fong has 2 lovely boys , Joshua 10 and Shawn 6. 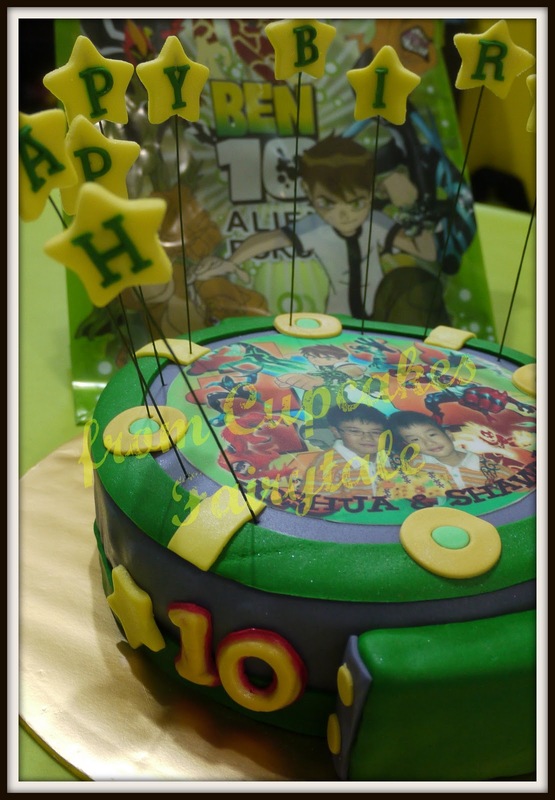 She commissioned this Ben 10 birthday cake for them as they both share their birthday in the same month........just a few days apart. 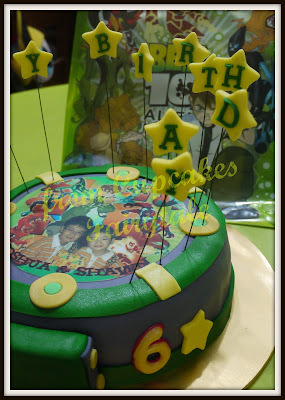 Cupcakes Fairytale is happy to work on this project, and hope you boys like it!! 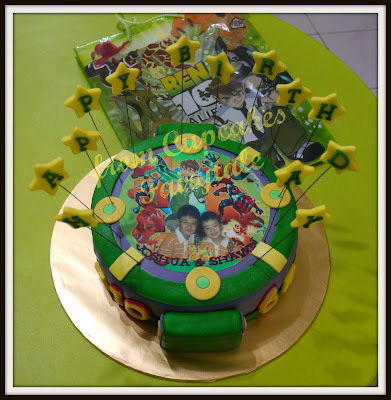 HAPPY BIRTHDAY TO JOSHUA & SHAWN! !